Common Name: Aronia black chokeberry, aronia berries (based on the fruit). Scientific name: Aronia melanocarpa (Michx.) Elliott. Synonym: Photinia melanocarpa. 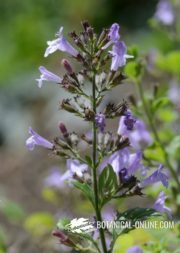 Habitat: It is a plant native to eastern North American continent and widespread in Russia and Eastern Europe after World War II, where it is grown as a medicinal plant. Aronia is a deciduous shrub that can measure between 2 and 2.5 meters high, and its top can be of a similar diameter between 2 and 3 meters wide, so the shrub has a rounded appearance. It has several woody stems that stand out from rhizomes, and may form small colonies of very dense shrub foliage. The white flowers grow in clusters of about 4 inches wide, and contain 7 to 10 flowers each. From the fertilized flower is born a fleshy fruit shaped berry, round and small, characteristic dark and bright color. When conditions are favorable, growth is fast and can easily form large thickets. For its resistance to adverse climate, its adaptability to all kinds of terrain and beauty of bright green leaves that are tinged with reddish-yellow in autumn, this shrub is an excellent ornamental plant for gardens. Specifically, marketed aronia is called black aronia (Aronia melanocarpa).Other species are: red chokeberry (Aronia arbutifolia) and purple aronia (Aronia prunifolia), which is a hybrid of the two. 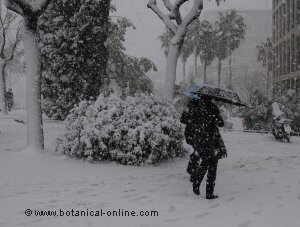 It is a vigorous plant, resistant to frost up to -25 º C and very hardy to pollution in urban gardens . 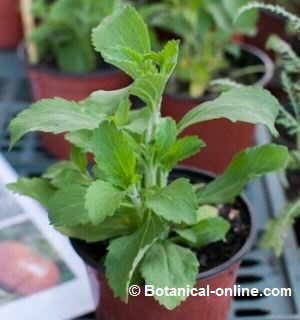 Grows well with plentiful sun and semi – shade. It can grow in different types of soil: sand, gravel, clay, drought and humidity. It does not grow on calcareous soils. In very dry areas it usually develops iron chlorosis (yellowing of leaves due to iron deficiency). It tolerates a pH from 5.2 to 8, preferring clay soil and slightly acidic pH conditions of 5.5. Moderate watering, preferably soil always moist, well-drained soil. They bloom in May, though some later varieties do in June. The small flowers grow in clusters and have a strong sweet smell. Pollinated by insects. It is a shrub that attracts butterflies and bees. – Landscape or ornamental use. Aronia is beautiful in all seasons of the year: white flowers in spring, its bright green foliage in summer, intense black fruit in late summer, and the yellow – red color of its foliage in autumn. The interest of this plant for landscaping is growing, and has been a candidate for plantation projects in the roads and highways and has extended in gardens as an ornamental plant. Gardeners have also created some dwarf varieties for landscaping. These include the variety Morton (marketed under the name IROQUOIS BEAUTY) and Autumn Magic dwarf variety. 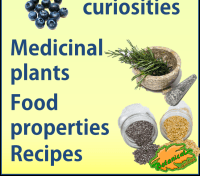 – Edible Uses. 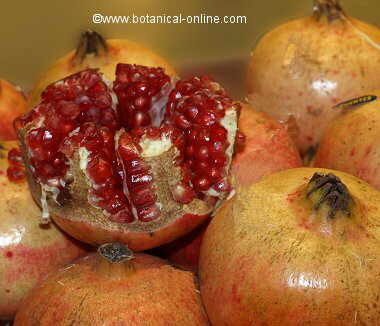 Especially their fresh berries, that are used for jam due to the pectin content of the fruit. 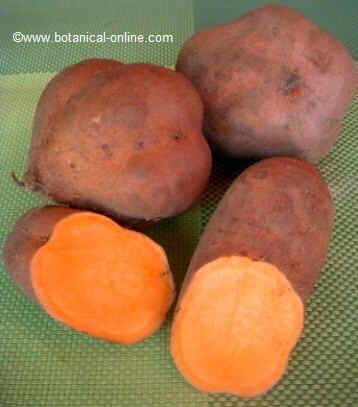 Raw fruits are high in tannins, so they are very astringent. The best known varieties for the production of fruits are Viking and Nero. 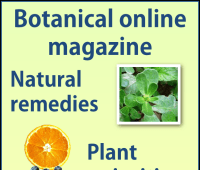 – Medicinal Uses. Aronia is gaining much importance in this field. See more information.